Texture Tuesday: Clouds in My Coffee - Jill Ruth & Co. I was thinking about Kim Klassens challenge this week for Texture Tuesday "cuppa" and then saw this post. I used a layer of Kim's texture, Simplicity. 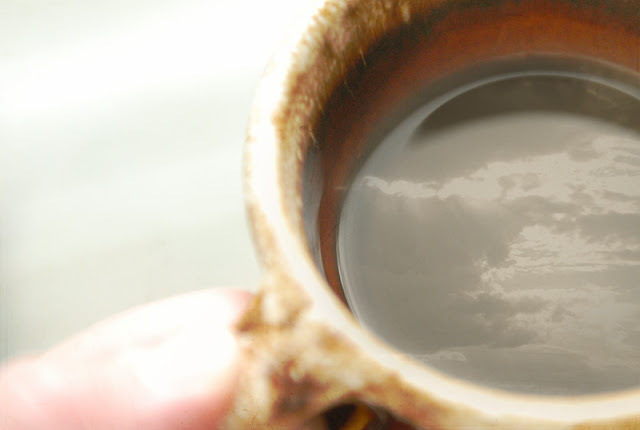 Here's to a day for all of you where the clouds in your coffee are only the reflection of a "God Sky" in your cup!! Love this! And now there's a line of an old song going through my head..."clouds in my...coffee" but I don't think that's the original word. Yup, the lyrics are "I had dreams there were clouds in my coffee, clouds in my coffee and...YOU'RE SO VAIN!" Remember that one? Great idea; well done! now I have that Carly Simon song stuck in my head! great image Jill! clouds via photoshop - what a great idea!! looks awesome! that is soooooo cool..... you rock!! Clouds in my coffee, clouds in my coffee! Great concept, great execution! Wonderful image (and wonderful song!)! Love your photos! Always so beautiful!